Samsung Galaxy C5: The South Korean multinational conglomerate company, Samsung has launched its first ever flagship smartphone under the Galaxy C-series in China. This new smartphone from the electronic gadget manufacturer started in the price range at ¥ 2,199 CNY. It is available on the two internal storage up to 32 GB and 64 GB. The 32 GB has introduced under the cost of ¥ 2,199 and the 64 GB at ¥ 2,399. The Pre-order sale has started in Chine. Scroll down and read about the Specifications and features of this Samsung Galaxy C5 Flagship. 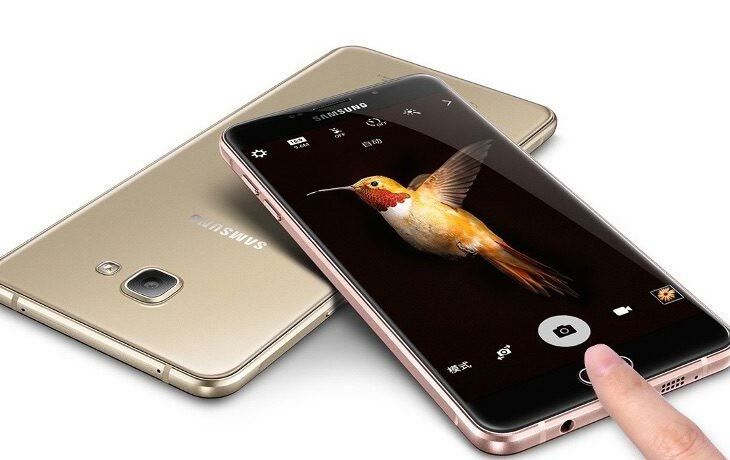 Specifications: The Samsung Galaxy C5 Flagship smartphone currently launched in China for the price of ¥ 2,199 and ¥ 2,399. This new Samsung product had an octa-core Qualcomm Snapdragon 617 processor along with the 1.5GHz four Cortex-A53 cores and 1.2GHz four Cortex-A53 cores. This smartphone has particular specs that it is available RAM of 4GB. This Smartphone supports the Dual-SIM in a hybrid dual-SIM configuration, and this smartphone has available with the Google latest version of Operating system, it runs on the google’s Android 6.0.1 Marshmallow. This smartphone has designed with the battery capable of 2600mAh, and it will be rated to deliver up to 237 standby hours on 4G service. According to the display of this new Samsung Galaxy C5 Flagship, it is featured with the 5.2-inch full High-Definition Super AMOLED 1080×1920 px resolution display. It slightly resembles the other models in the Samsung Galaxy C-series. This smartphone has a 16MP of autofocus rear camera with an LED flashlight. The front-facing camera comes with the 8MP and both of the camera function with the f/1.9 aperture. The Galaxy C5 is available on the two price range as per the internal storages. The two internal storage is 32GB and 64GB. These two models can be expandable up to 128GB with the help of Micro-SD card. And this smartphone comes with the common connectivity options; the new handset offers Wi-Fi 802.11 a/b/g/n, 3.5mm audio jack, GPS, Bluetooth v4.2, NFC, Micro-USB. Stay tuned for More Updates and get the Latest Braking News instantly by Bookmaking (CTRL+D) Our Website.